Pie: This type of chart shows the contribution of each component to the total. 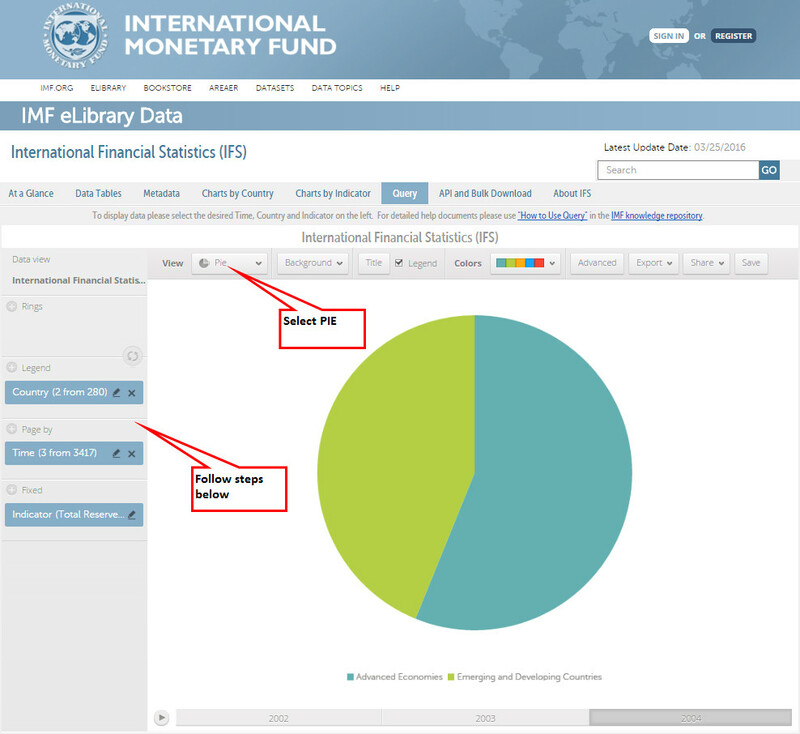 Sample Pie Chart Instructions - The sample chart uses the International Financial Statistics dataset and displays how much Total Reserves excluding Gold in SDRs are held by Advanced Economies versus Emerging and Developing Countries in 2002, 2003, and 2004. From the pop up dialogue box select Advanced Economies, and Emerging and Developing Countries. Click Apply and OK.
From the pop up dialogue, type in 'Total Reserves excluding Gold, SDRs' in the Search box. Click Apply and OK.